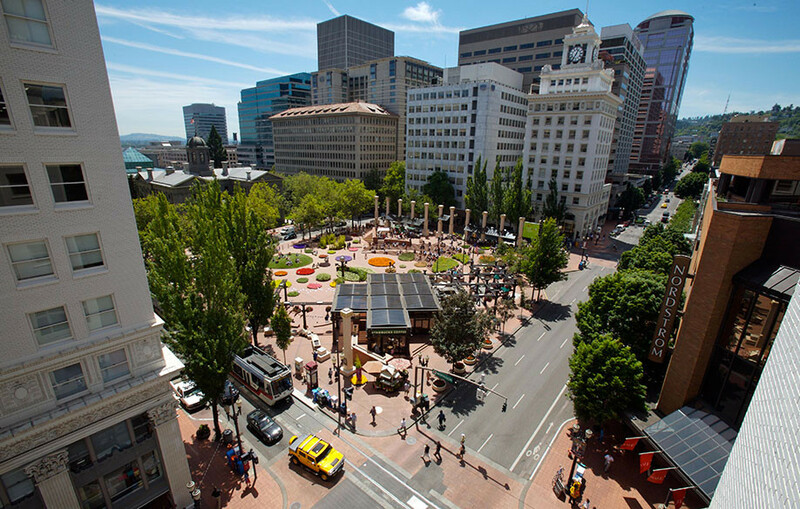 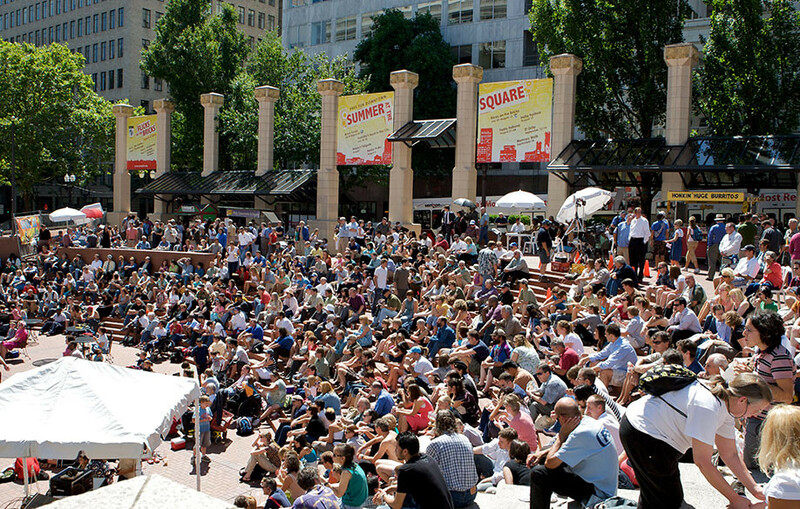 Located in the heart of downtown Portland and affectionately known as Portland’s Living Room, Pioneer Courthouse Square has been nationally recognized as one of the most successful public spaces in the United States. 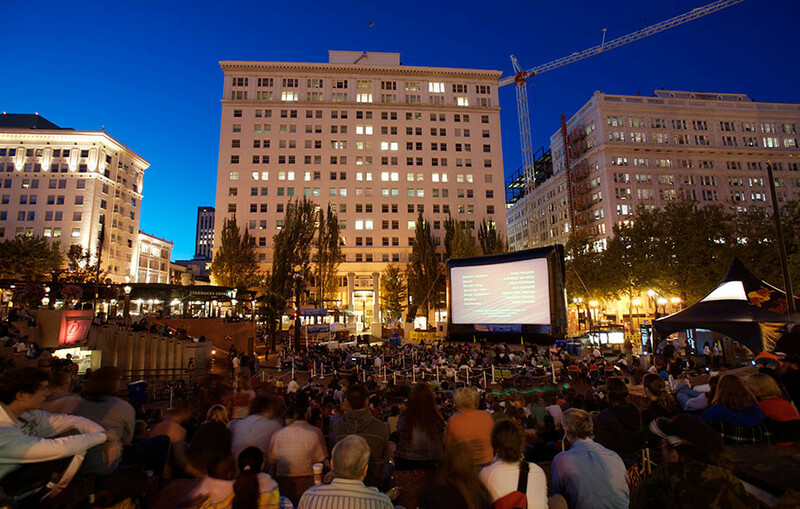 Opened in 1984, the three level brick plaza with stairs that serve as seating to make a natural amphitheater for events, welcomes over 9.5 million visitors annually. 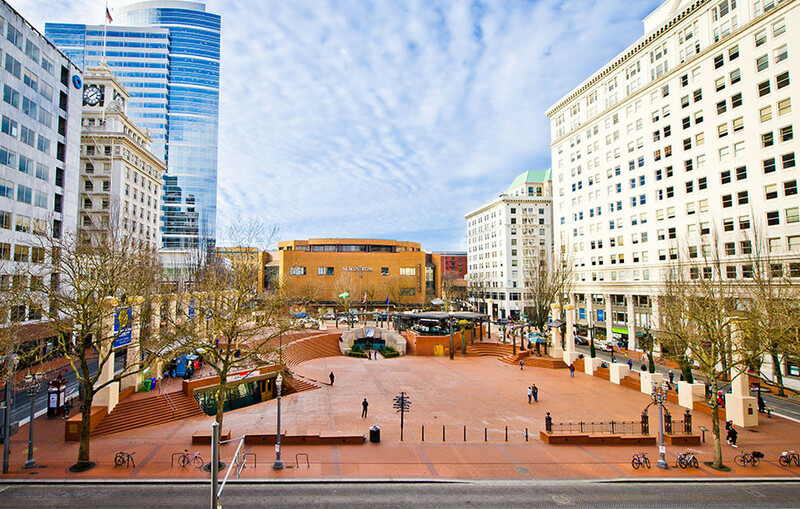 To maintain its prominence, the Square has undergone major renovation and development projects over the years including a $1 million renovation in 1997; a $2.6 million lobby project in June 2001 which involved renovating the TriMet Customer Assistance Office, moving the Portland Oregon Visitors Association (POVA) visitor center into the lobby, adding a 75-seat presentation theater, and creating a media display wall; a $1.9 million tenant improvement and exterior façade update project including systems upgrades to accommodate KGW Studio on the Square; and a $10M major repair, restoration and renovation project currently in 2018.